Even with the advent of cellphone cameras and smartphones, there are plenty of people out there who are still attached to specialist photography equipment. Much like collecting vinyl, using an actual camera for photography, along with professional developing equipment, is a uniquely tactile experience. But, did you know a storage unit can be the ideal place to set up a darkroom? It can be hard to find the space and seclusion needed to develop photos the old fashioned way, but a clean, secure storage unit in Topeka, Kansas might be just what you need. If you’re a photography enthusiast who loves the intensive and detailed process of old-school photography, read on to learn why storage rental might be perfect for you. Typically, the smallest option is usually fine for the purposes of a darkroom, depending on the general workload you have. If you’re a professional photographer who takes and develops photos for a living, you might need a larger size. However, photo development is becoming increasingly niche. Your best bet it to visit a storage unit first and take measurements to make sure you’re getting a suitable size. While a sealed storage unit is certainly dark, it’s unlikely to be dark enough for developing photos just by design. You should do some research into effective blackout materials and supplies that will give you the full dark conditions needed to develop film. Curtains, plastic sheets, black regular sheets, and even blackout blinds are all great solutions that are easy to get hold of - not to mention easy to pack up and move or store. Water is an essential part of the photo developing process, at least when you’re doing it the old-fashioned way. You’ll need a decent supply of water that you can easily access and transport. It’ll need to be clean,, and you’ll need a way to dispose of the dirty water once you’re done. A cooler, jug, or bucket are all reasonable options. The chemicals used in photo development can be dangerous, especially in an enclosed space. Having a fan to keep the air moving is typically enough to stop you experiencing harmful effects, but you should absolutely make sure that you take regular breaks in the open air. For safety’s sake, you also need a safety light. 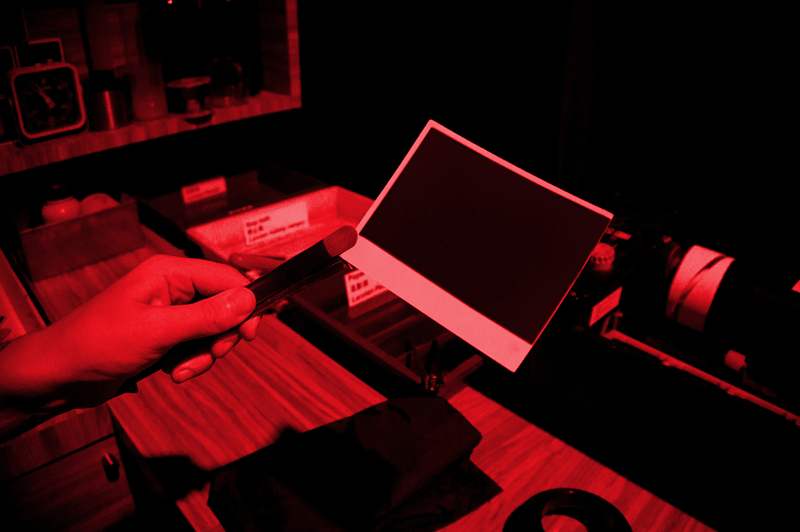 If you’ve ever seen a darkroom depicted in movies or on TV, you’re probably somewhat familiar with the eerie red glow. This is from specially designed lights that are designed to let you work in what is still, effectively, pitch dark. These lights can usually be bought like ordinary bulbs and fitted into a regular lamp. If this sounds like the answer to all your photography woes, get in touch with the professional, friendly customer service team at Affordable Family Storage today. Our storage units are modern and secure, and we can even offer you climate control options. Whether you’re looking to develop in a darkroom, find a quiet space to work on a project, or simply looking for reliable storage, we’re here to help.